The blank canvas is a 652 sq m private rear section in highly desirable Acacia Bay which is just waiting for your dream home to be built. 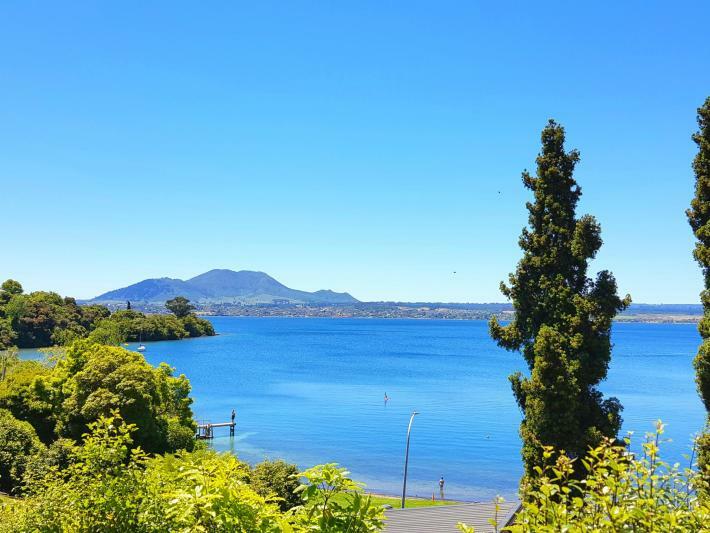 Captivating views of the lake, Mt Tauhara and Taupo create a glorious backdrop for you to enjoy from your decks, terraces or gardens. Elevated to maximise those mesmerising lake views, the building platform has terraces for the multi-level living, which suits modern lifestyles. Even more tantalising is the distance from the section to the beach; if it was any closer the lake would be lapping at your door! Just when you thought it could not get much better, it does; you will only be a minute's drive from the Acacia Bay boat ramp, which is great news for lovers of water sports. There is also the added convenience of being within a short drive to the Acacia Bay store and Bay Brasserie. Perfectly located for an appealing lake edge lifestyle, if the ski fields beckon in winter, then pack the skis and off you go! The scene is now set for your perfect holiday home. Take action today as this rare opportunity won't be on offer for long. Contact Rachael without delay.